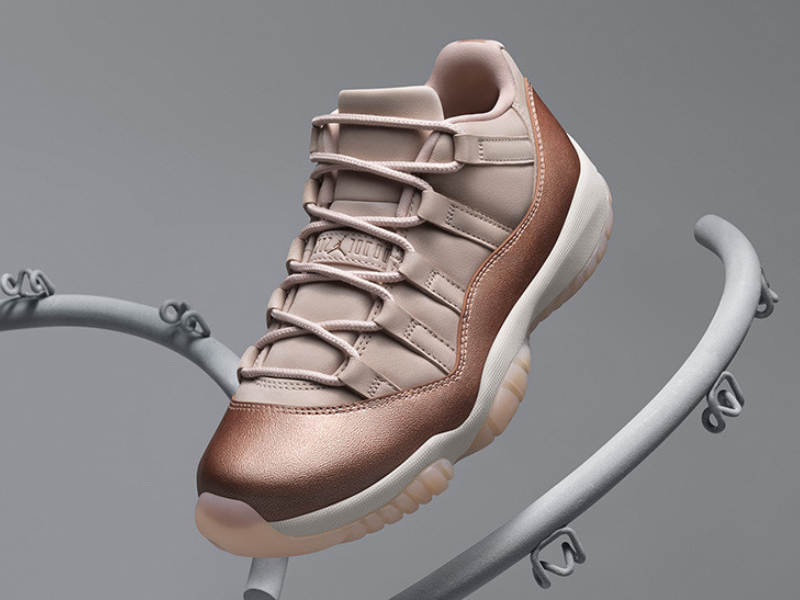 Over the last couple of years, the sneaker brands have focused their attention to an untapped market — females. 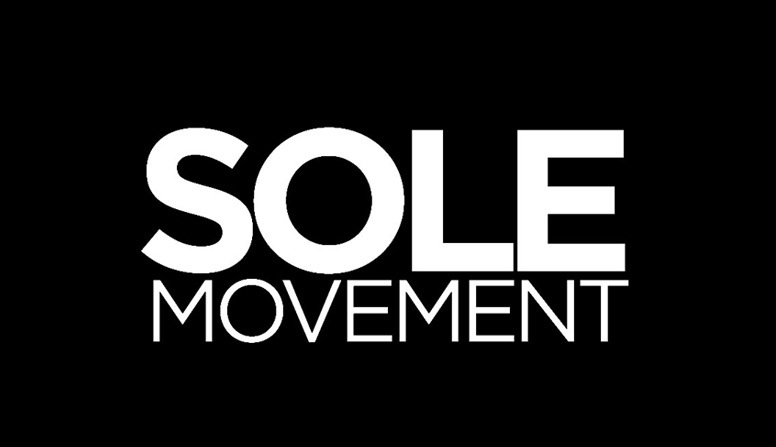 Up until last year (or the year prior), women’s collections were few and far between, and most women were relegated to getting kids’ sizes or getting the smallest possible size in the men’s department. 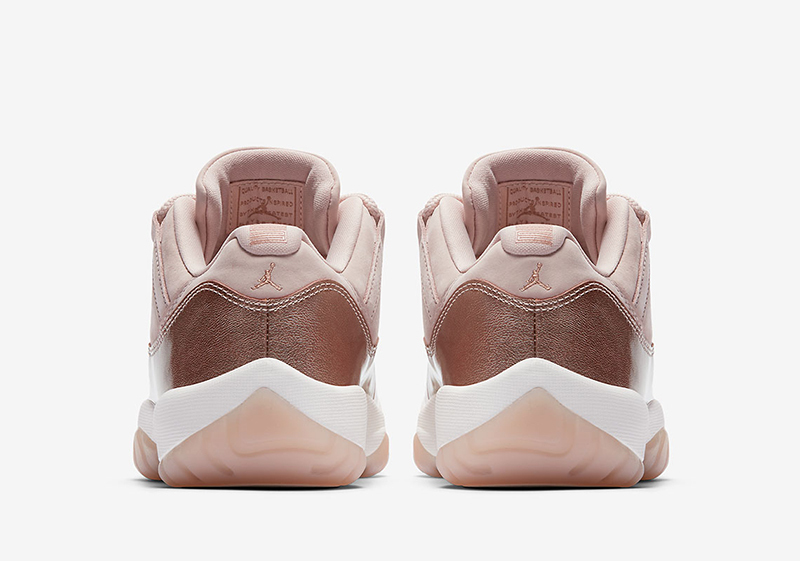 Jordan Brand recently launched their Heiress collection and a renewed effort to bring in more women’s exclusives to their range, which is always a good thing to help build and expand the brand. 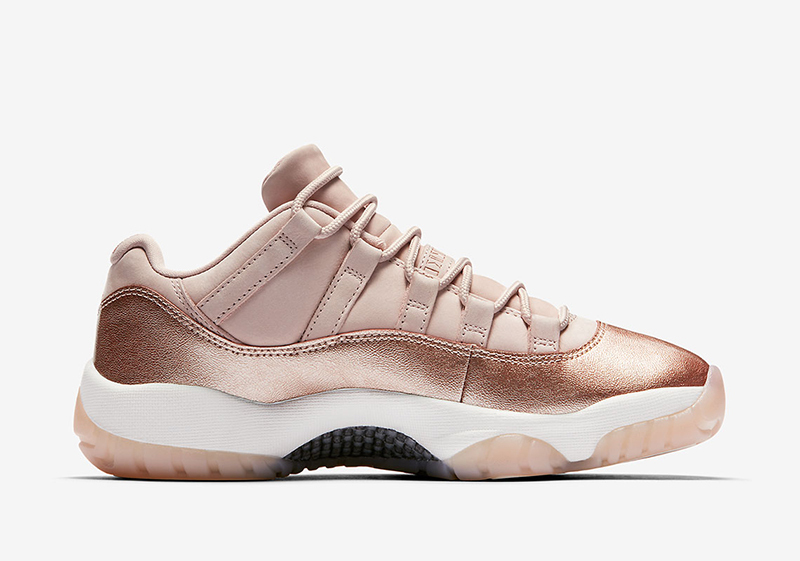 This weekend, we’re getting an Air Jordan 11 Low exclusive for women. 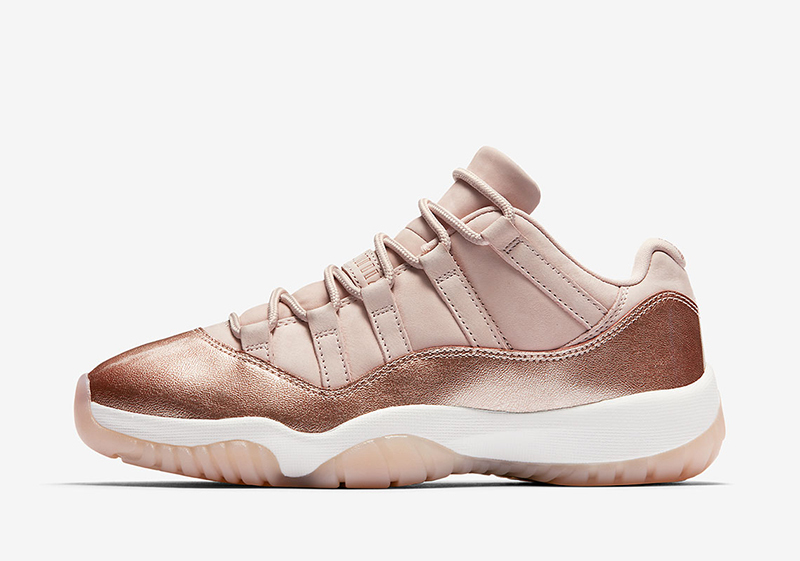 This “Rose Gold” variant uses a metallic bronze leather on its upper and sits on a semi-translucent gum sole. 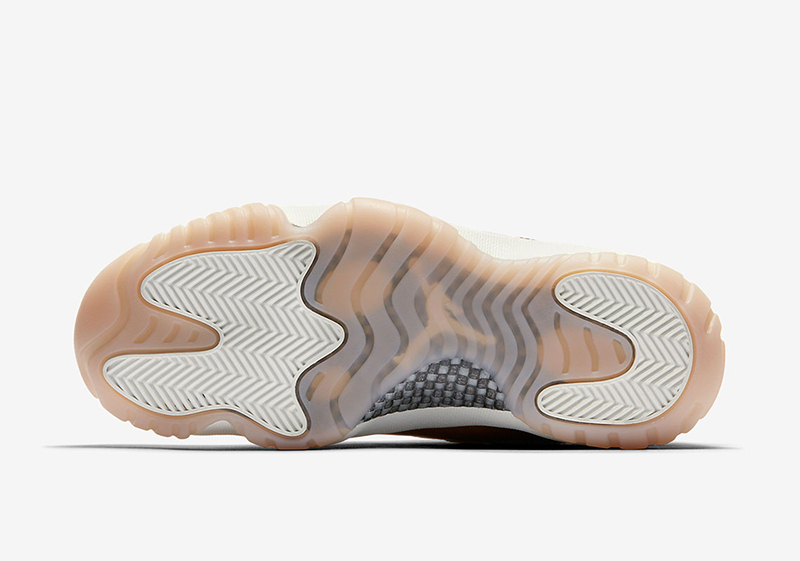 I wouldn’t be surprised if some of the small footers attempt to pick these up. 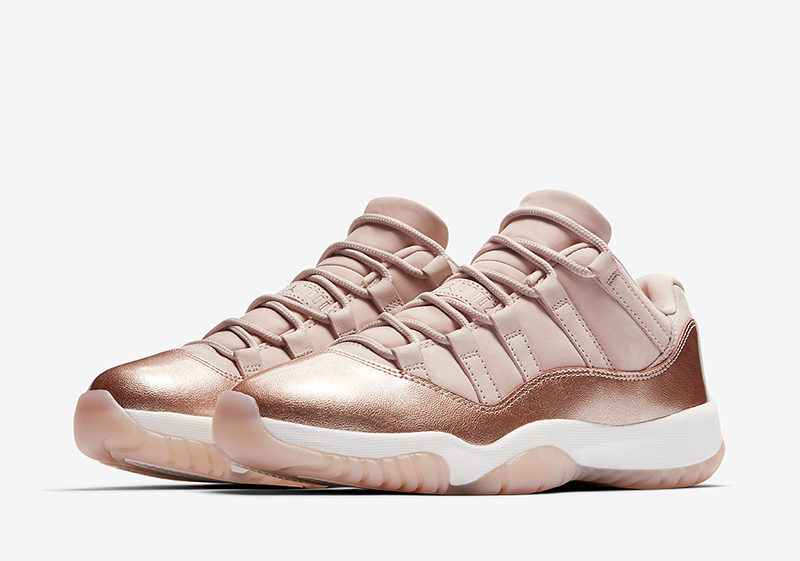 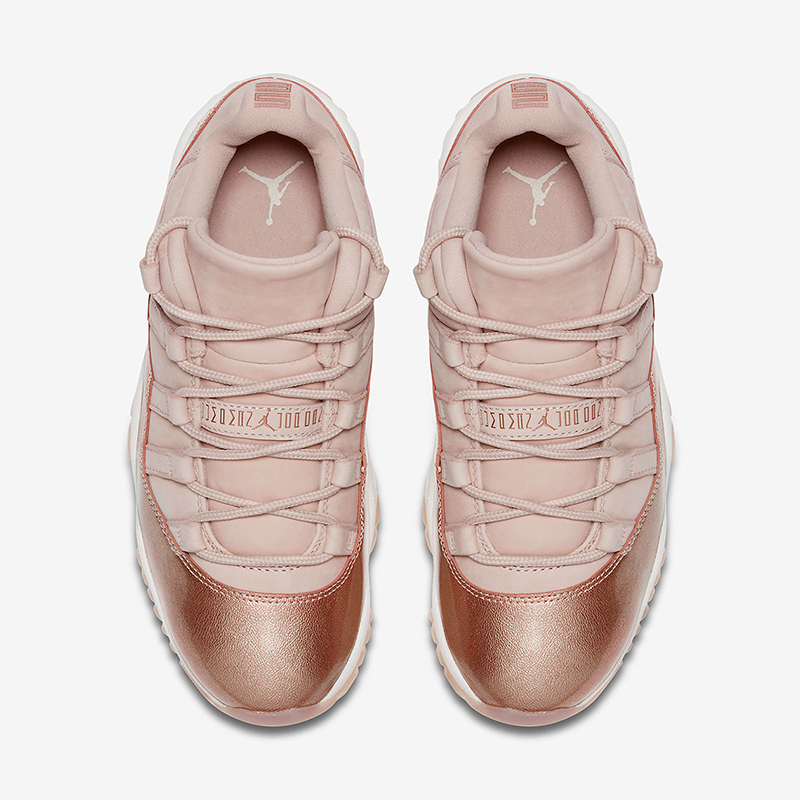 The Air Jordan 11 Low “Rose Gold” is now available at Titan (Fort/Vertis/Conrad/Titan22.com), retailing for Php 8,845.